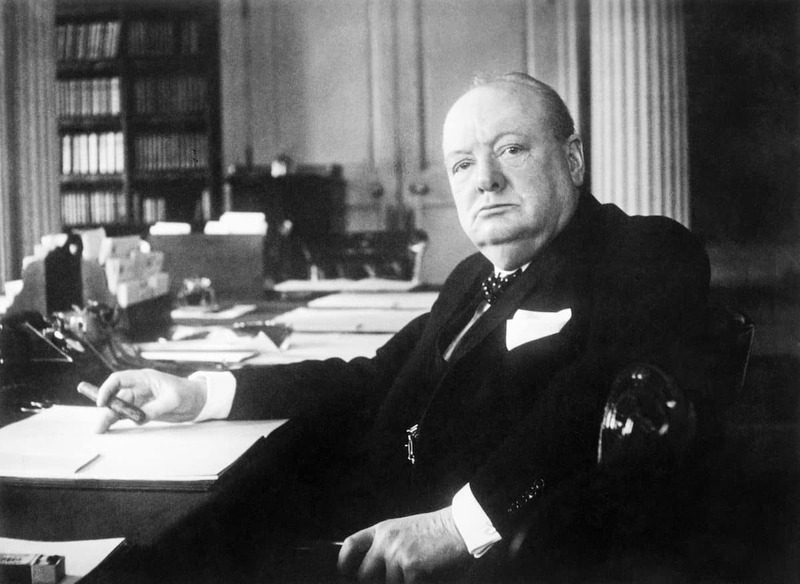 46 years after the Boer war, Prime Minister Winston Churchill stared down Nazis. In desperate need of help he reached for his pen. Late one evening by candlelight, Churchill wrote a letter to the new President of the United States, Franklin Delano Roosevelt. Before he was Sir Winston Churchill, a young Winston was a writer for the The Daily Graphic. Working as a war correspondent for much of his reporting career, he became one of Britain’s most admired and sought-after writers. His reporting would lead the Boers to capture him in Africa in 1893. The daring late-night escape he undertook by himself from a Boer POW camp would catapult Churchill as a hero of the Empire. That experience gave Churchill a lot to write about, too. It also shaped his views on war, duty, and what it was like to be a prisoner. That would come in handy later in life when he would be a prison warden adamant that prisoners deserved fresh air and books. But it was his writing that made the man. Without it he never would have found himself in the situations that made him who he was. That was true in 1893, during WWI, and later in WWII. 46 years after the Boer war, Prime Minister Winston Churchill stared down Nazis. In desperate need of help, he reached for his pen. Late one evening by candlelight, Churchill wrote a letter to the new President of the United States, Franklin Delano Roosevelt. Churchill wrote what he thought was a great letter. He congratulated the new president on his campaign victory. He told him Britons stood alongside him and the Americans. And more to the point asked for Roosevelt to send Britain as many decommissioned, old, and otherwise serviceable but unused planes, tanks, and other equipment America had lying around. He knew America had 50 destroyers we weren’t using and Churchill needed them. Churchill sealed his letter and sent it to Washington. Then he waited. Weeks passed with no reply from Roosevelt. Not even a telegram. Publicly Churchill demurred that Roosevelt “must be busy” and that his letter “got lost amongst all the new mail and shuffling around in the White House”. FDR, after all, was battling a depression domestically and more mail was coming into the White House at a rate never seen. The White House hired the first significant and modern mail staff to just handle all the letters. Churchill penned what he thought was a perfect piece. And it never accomplished its goal. It never hit the mark. Later when Churchill and FDR would meet and form one of the best bromances in western civilization, Churchill learned FDR had read that inaugural letter but did nothing with it. Politically, involvement in the “European war” was still too touchy. FDR had too many other things to do. So, his response was to not respond at all. I think about this a lot when I write emails. I think about it more when I write blog posts because while I see posts do well in Google search results, few get more than several dozen readers when first published. I write and design and build things for clients and know thousands and hundreds of thousands of people will see it. Meanwhile, I can only hope it hits the mark. And frequently I do not. In fact, 99% of the time I do not. I do not entice people to buy, or share, or read, or watch, or take a survey, or even click a link. I’m working on a book, which is nearly finished and will release later this year. I can only hope it hits the mark, too, but realize it probably will not. This is the creator’s ultimate demon. For people who don’t fancy themselves “creators”, but do sometimes produce a presentation or document, or stand by while someone like me does so for them, they aren’t accustomed to the sting of not hitting the mark. And it hurts. The best we can do is trudge on, try to get better, and remember that even lions like Churchill missed the mark. There’s no comparing the Republicans of today to 1950, 1910, or 1864 or the Democrats of today to 1963 and 1944. Heck, Andrew Jackson was a “Democrat”. I never use the phrase “GOP” (except now, apparently). I don’t like it because it’s not true. The “Grand Old Party” is supposed to be the party of Lincoln and Roosevelt. But as I’ve voraciously been consuming the definitive autobiographies and books on these and other Presidents, I can’t draw a line from Lincoln to Republicans today. I could maybe have an easier time with Democrats, but it would take a wild line through and around issues of slavery. The best theory to explain this that I can come up with is partially due to Grover Norquist, who mused in Leave Us Alone that a lot of voters vote for one party or another because their father did and their grandfather and great-grandfather before that. In other words, a lot of people vote party-line like the way children often assume the religious beliefs of their parents. This happens everywhere but has been particularly sticky in the south. This still explains Kentucky today. When you wonder how Kentucky votes for a Democratic governor in what should be a reliably red state up and down the board, it’s because people are still voting at least partially on their family’s civil-war era tradition when Democrats were the more like the “Republicans” (by a modern definition). My theory is the country changes, the electorate changes, but the south is always the laggard by a wide margin. And there are enough of them, plus Texas and Oklahoma, maybe Indiana, that it puts a dent in the course of the country’s leadership. Most people have a casual understanding of the “flip” in the parties’ beliefs and core voters, mostly around the Civil War and later Nixon’s election. But for years before Nixon, to put it bluntly, many southern voters were somewhat unaware that the Democrats weren’t really the bearer of their character and beliefs anymore. Eventually, they caught up. I suspect we may be another 75 or 100 years away from another flip like that. This is a generations-long process that is altered only by death and slow, steady, change. So when I hear the phrase “GOP”, I hear the Republicans of today taking credit for things their forefathers did under the same label but with entirely different context and pretenses. That’s offensive to early Republicans. It’s like if the producers of the Jason Bourne films said they were proud of the work they did in early James Bond films. You don’t get to take credit for that. You weren’t even there, so sit down and shut up. As one example, Theodore Roosevelt wouldn’t recognize either party today. He could arguably be considered an independent today, and some may consider him one of his time (George Washington was our only true independent President, as he never declared a party and has been the only unanimous vote-getter in the electoral college). Roosevelt wanted big government projects in Panama and around the US. He wanted to bust up large trusts and monopolies like railroads and banks. He also wanted a big, strong, and world-dominating military. Roosevelt wasn’t keen on racial discrimination either and was the first President to welcome a black man to the White House. Roosevelt was most proud of his achievements in civil service reform, which stopped the practice of appointing people to lush government jobs without real qualifications. He weakened the parties by stomping on their machinery in races small and large. Trump has Roosevelt’s portrait hanging in the Oval Office and he says he admires him and Andrew Theodore most. Theordore Roosevelt was a conservative, not a Republican. He conserved nature and limited resources, was a populist and true champion of miners, coal workers, and factory workers. He had no use for big corporations running afoul of laws both real and moral. If he were alive today he’d punch Trump in the face and call him a sissy for not being able to kill a moose with his bare hands.